Certified Care Managers meet the immediate and long-term care needs of your loved ones facing challenges with aging or disabilities by coordinating local, state, and federal resources. Get expert support navigating the healthcare maze. Patricia Shelton has more than two decades of care management and nursing experience. As a Registered Nurse, she worked in various Medical Intensive Care Units in the Central Valley. Her diverse background includes Oncology, where her work with cancer patients grew her compassion for those with long-term diseases. As a Poison Information Specialist, Patricia gained a strong knowledge of medications, including side effects and interactions. She brings her passion for advocacy to her work in the Care Management industry. As she cared for her own parents’ extensive illnesses and bouts with cancer, she experienced firsthand the frustration of navigating the medical maze, obtaining financial support and balancing personal time constraints as we care for our aging loved ones. This led her to found Shelton Care Management to assist those who feel overwhelmed as they struggle to identify resources for their aging loved ones. Patricia is nationally certified in Case Management (CCM), is a current member of the Case Management Society of America (CMSA) and is a certified Geriatric Care Manager (GCM). Charles in an experienced Information Technology Specialist with familiarity with QuickBooks and the Microsoft family of products. He is knowledgeable about the sensitivity and security of personal data, and is dedicated to ensuring that it is safe. He is always ready to answer questions and is determined to help in any way he can. Charles is familiar with working as team to handle the medical needs of a family member, as his family continually comes together to care for his aging mother. Charles has been working in the Oakdale community for the past six years building professional relationships and assisting businesses and families with their digital security. His exceptional IT skills & excellence in customer service make Charles an essential part of the SCM team. Katie truly cares for the people she serves. Her professional presentation, experience as a researcher and dedication to high quality work ensures each client gets the best service and assistance possible. Katie has a heart for community service and helping others. Before and during her undergraduate studies she has volunteered in many capacities, including work with inner city refugees helping them to find resources to enable them to thrive in their new environment, at-risk children with the Boys and Girls Club, church youth groups, as well as team captain for Relay for Life. Following graduation from college she worked under the guidance of a team of licensed therapists providing therapy and support to a child with autism. Katie’s interest in geriatrics stems from her own experience in caring for her aging grandparents. Having been a caregiver, she understands the emotional and physical challenges involved with meeting the various needs of a loved one. Her love and dedication for enhancing the well-being of seniors and special needs clients has led her to seek a career in care management. Her education, experience, and dedication make her an excellent resource for all. Michele Angres is a Masters Degree/Registered Nurse with over 10 years of case management experience. Her love of seniors and background in Medical Case Management led her to expand her skills as a Geriatric Care Manager. Her extensive experience in nursing and knowledge of local resources have greatly attributed to the effective and caring Geriatric Care Managing that Michele performs. She has impeccable skills at avoiding crises’ by her incredible attention to detail and determination to facilitate the best and timely care available for our clients. Michele is energetic, dependable, and with her vast training in critical Medical Management she is a very skilled and knowledgeable Geriatric Care Manager. 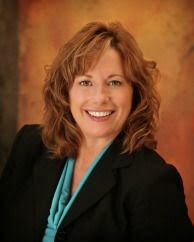 Heidi Luman has over 20 years Nursing expertise and is highly skilled in complicated medical and psycho-social cases. She values the autonomy of her Senior clients and is pro-active about her client care, specializing in crisis prevention. She focuses on the whole client and family to facilitate the highest possible quality of life. Her compassion shows when she interacts one on one with her clients, meeting their needs with kind-heartedness, care, and expertise. Heidi is passionate about others abroad as well as locally, and she served as the Nursing Director for a Hospital in Bangladesh. Heidi continues to be a supporter of international organizations, such as Gospel for Asia. Robbie has worked in case management and home health industries, predominately with the senior population for over 20 years. Simultaneously, she has developed an excellent reputation for her effectiveness in the Workers’ Compensation arena. Robbie lives in a small rural community with her sons and her aging parents, who are a very big part of her life. She enjoys traveling, especially to Mexico. Robbie is very involved in her local community, and currently serves on the board of the Sierra Foundation, a non-profit corporation that financially supports their local school district. She is actively involved in community fund raising as well. The combination of her personal dedication and professional excellence, has led her to join our team serving our senior community, and adults with special needs, through dedicated care management. Jennifer Wilson decided to pursue a career in nursing after being inspired by the compassionate nurses who cared for her mother during her battle with breast cancer. Jennifer went on to work as an oncology nurse at a large hospital, where she specialized in treatment of cancer, stroke, cardiac dysrhythmia, and chest pain. Jennifer’s love of seniors brought her to public health nursing, where did consulting work on the side for Stanislaus County’s Area of Aging; Jennifer worked directly with at-risk seniors to keep them living safely in their homes. In addition, Jennifer’s love of teaching drew her to a position as instructor for California State University, Stanislaus, where she taught part time on the topic of reproductive health. Working now, as a Specialized Care Manager, Jennifer loves working one-on-one with seniors, and their families, guiding them through the healthcare continuum. She considers the beliefs and values of her clients, as well as their physical well-being, when implementing plans of care. Jennifer’s strengths are advocating for each client as though they are her family, navigating the healthcare system, problem solving, and explaining complex medical concepts/treatment regimens in ways that are easy to understand.